We've created something really special. By transferring the roles of content deliverer and progress tracker from humans to computers, we've enabled our trainers to fully focus on guiding, coaching, mentoring and supporting our students learning experience. Our artificial intelligence (AI) algorithms are capable of adapting the difficulty of tasks, tracking errors, adjusting topics, and customizing the exact curriculum of the students. This way we are able to deliver a personalized education through our trainers combined with an adaptive system through AI. KidoCode is open from 10AM-10PM, 365 days a year. Even on public holidays! So you are practically free to utilize your Hours of Code (HoC) all the time. As we always say to our parents at KidoCode, "Keep Calm And Don't Schedule". We give students the time and flexibility they need to complete the curriculum within their own capabilites. With our support and coaching, your child is guaranteed a fulfilling learning journey, which is why our starter kit packages come with no expiry and lifetime usage. So use the hours whenever you want! Cultivating curiosity and independence in students are the first steps to helping students become self learners. Self learners know how to use resources to find answers to questions or to learn skills to solve problems. They do not need micro-managing from an adult to help them complete tasks or projects, (but it's important to recognize the difference between asking for assistance from an adult to complete a task and relying on an adult to make sure the task is completed). Here we train and nurture our students to become self learners from a young age. Simply put, computational thinking (CT) is "thinking (or problem solving) like a computer scientist." CT is becoming essential as an increasingly recognized approach in many education systems around the globe. Being able to problem-solve computationally, means being able to think logically and algorithmically, and use computational tools to create models, visualize data and more. Its rapidly becoming a prerequisite for all fields and at KidoCode, it's an approach to tackling challenging questions and cryptic puzzles. We actively integrate computational thinking into our training, allowing students to draw parallels between what they're learning and how they're approaching problems across all disciplines. 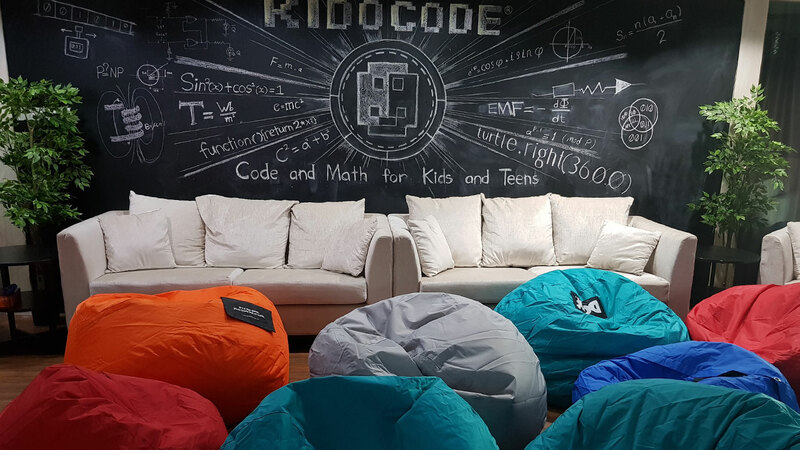 At KidoCode, we offer internships to our students from as early as 12 years old. This is both to motivate and educate students to use their newly learnt skills for a practical purpose, whether that's training other students or working with our software development team. We're championing the idea of earning while learning to ensure that students see how valuable their skills are. From day one, parents that enroll their kids at KidoCode become part of our community too. We offer free parental accounts to promote intergenerational learning among parents and their kids to foster the spirit of learning and bonding through co-operation and understanding. We do this not just because we can, but because it's really important to get parents involved in their kid's learning process. It's a tremendous factor that's missing in most education systems and we we weren't satisfied with that. and that’s why at KidoCode, dear parents, we give you the opportunity to learn alongside your kids, completely free of charge, to inspire them and play an active role in shaping their future. 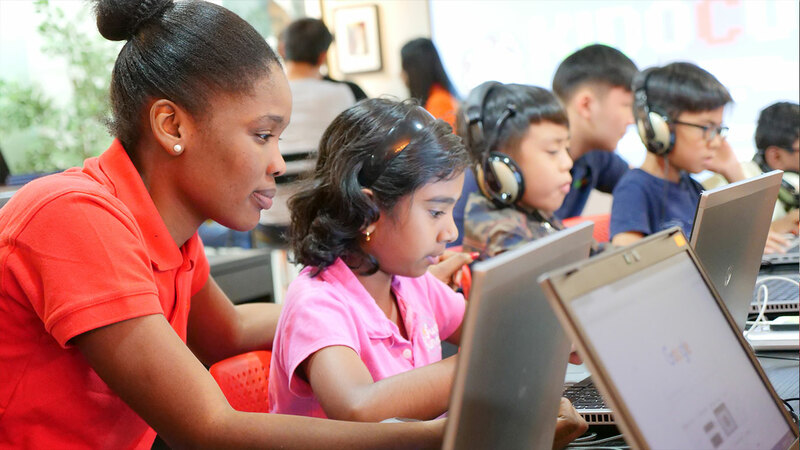 We provide home access for students, because learning shouldn't stop when you physically leave KidoCode. Our students are free to practice their existing sets of tasks at home using our online portal with no deduction on their overall hours. Our K-Cafe was designed to keep our community fed at all times, so the learning process is never interrupted. You don't have to worry about bringing lots of snacks or drinks for your kids because at KidoCode we provide them all free of charge! You're welcome. A learning environment shouldn't be boring and dull. We believe that creative learning environments help stimulate the mind and inspire innovation. Our uniquely designed spaces are filled with colors, beanbags, pictures of ancient philosophers and famous scientists, books, and lazy chairs to keep the learning relaxed and fun. 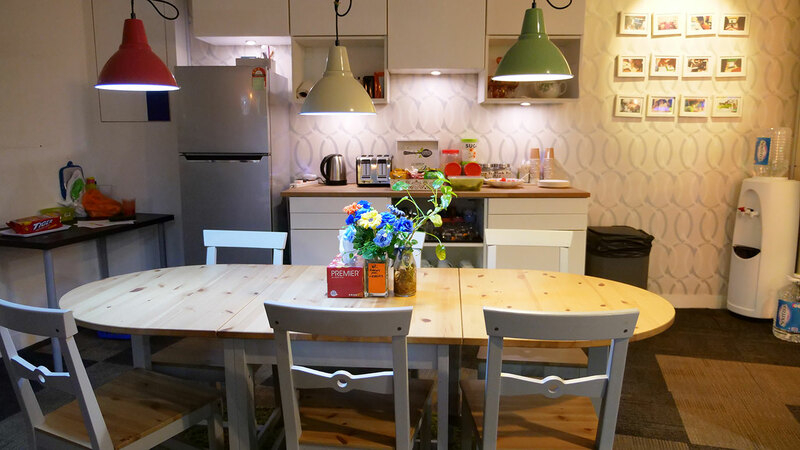 Both students and parents can stay and enjoy all our spaces (K-Cafe, K-Rest, KStage, KRooms) for as long as we're open. We are the largest community of kids and teens learning code & math in South East Asia. by now we have crossed more than 3100 students. yet that number keeps on growing. on average, 150 new students join KidoCode every month! we are a community of all ages, from 5 year old coders to grandma coders! Also, we have our own developers that are creating all of our online content, applications, etc. Parents are free to liaise with our developer team regarding your own business propositions. The majority of our trainers come from a background in Computer Science. Our head trainer, has been a university lecturer for more than 10 years and has work experience as an IT instructor. With a strong backgroud in Research & Development for more than 15 years, he's constantly training our trainers to ensure the highest quality of service and coaching is provided to our students. Being the pioneer of advanced Python programming in Malaysia, PyCademy and Malaysia Digital Economy Corporation (MDEC) have been providing educational content for Malaysian lecturers under the Train The Trainer (TTT) program since 2013. We started by providing 2 to 3 workshops every month in different universities all around Malaysia such as UPM, UM, UITM, UNI KL (Johor Bahru), UNIMAS (Sarawak) and USM as well as at various MDEC departments. Our programmes covered topics such as Big Data, Python, Data Analysis, and Cloud Computing. We have trained more than 500 lecturers so far, and continue to engage many academic professionals in the community.